Happy New Year! As promised, we are reaching out to begin the process of selecting a new Executive Committee for AMeBA. The Executive Committee comprises the following positions: President, Vice-President, Treasurer, Secretary, Members at Large (4), and each position carries a 1-year term. Executive Committee members may not run for more than three successive terms. The Executive Committee is required to hold at least one meeting annually. Currently, meetings are held approximately monthly as the committee is dedicated to continuing to move AMeBA forward in line with trends in the greater behavior analytic community. President – The President presides over all meetings of the organization. The President is also responsible for counting nomination and election ballots, as well as general supervision of AMeBA’s affairs. Vice-President – The Vice-President serves as second in command, and executes duties assigned by the President. Secretary – The Secretary keeps AMeBA’s records, conducts official correspondence, receives applications for membership and gives notice of all inductions into membership. Treasurer – The treasurer has the responsibility for all AMeBA funds and the authority to disburse funds for purposes authorized by the board. The treasurer keeps a record of all money received and disbursements made and, submits an annual report of AMeBA’s financial status. Members-at-Large – Four AMeBA members who participate in all Executive Committee activities and decision making. 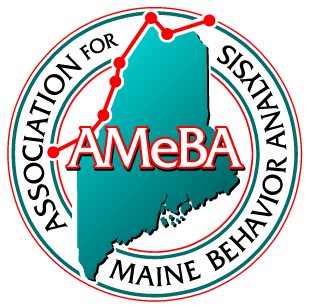 The outgoing Executive Committee has worked hard to establish a professional behavior analysis organization in Maine. Since AMeBA’s inception in 2013, members of the Executive Committee have formalized the organization’s bylaws; completed the state requirements for AMeBA’s articles of incorporation; put on two highly successful continuing education events featuring leaders in the field of behavior analysis; launched the organization’s website; attended an invitational workshop in Denver, Colorado concerning licensure of behavior analysts; established three subcommittees to better serve the interests of behavior analysts practicing in Maine; expanded AMeBA’s membership options to include organizational and sustaining members; and worked with legal counsel to identify the most appropriate non-profit status to pursue for the organization. AMeBA is in a strong and stable position for the upcoming transition of its leadership. As a Full member of AMeBA, you are invited to submit nominations or be nominated to one of the Executive Committee positions. To make a nomination (self-nominations are encouraged), please contact us by Monday, January 23rd.​ Additional information regarding the election process will be provided at that time. The committee intends to hold elections via electronic voting by early February in order for new Executive Committee members to participate in the February meeting. The new Executive Committee members will be announced at the annual conference in March and will assume their roles at that time. Thank you in advance for your continued commitment to the professional practice of applied behavior analysis in Maine. We look forward to hearing from you!